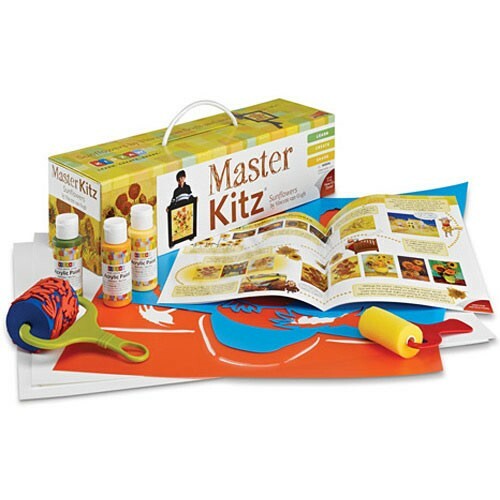 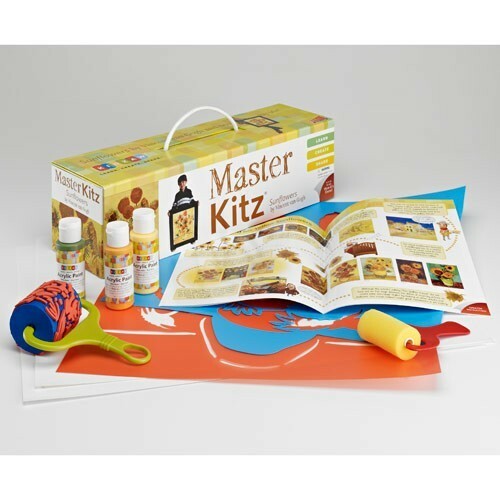 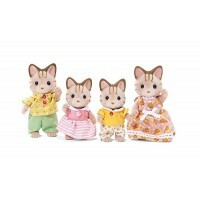 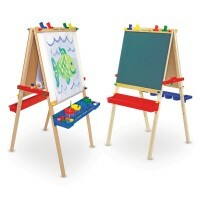 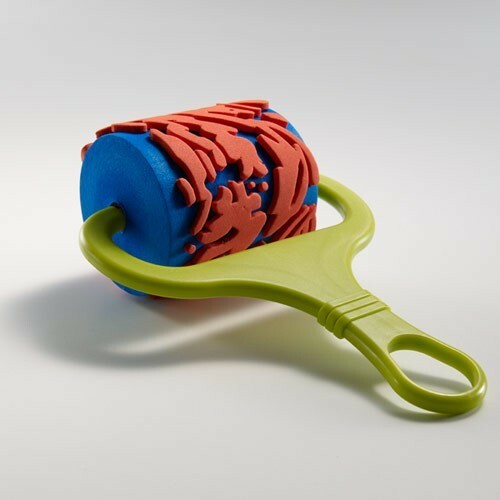 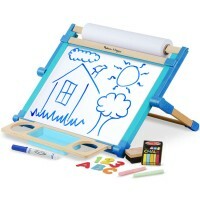 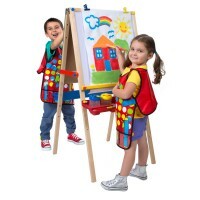 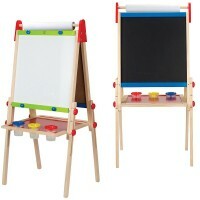 This kids fine art learning set by Master Kitz brings all the craft tools and art supplies your young artist needs to create their own van Gogh's Sunflowers painting. 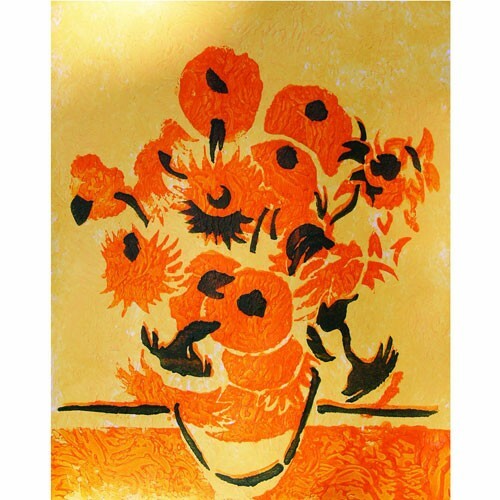 Sunflowers by van Gogh have been become an iconic symbol not only of this artist's work, but of fine art. 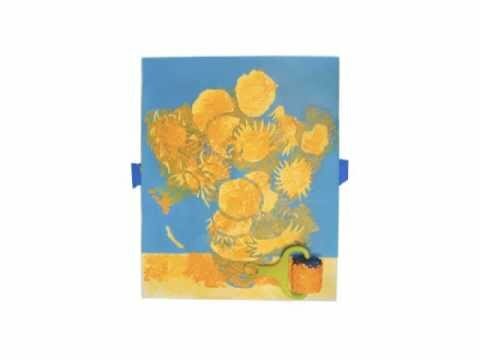 Many of van Gogh's Sunflower paintings were created in the Yellow House in Arles and were used to decorate the room the painter created for his friend artist, Paul Gauguin. 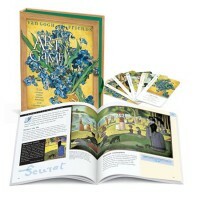 The vivid colors, active art strokes and real beauty of the paintings have led many artists to try and copy their beauty. 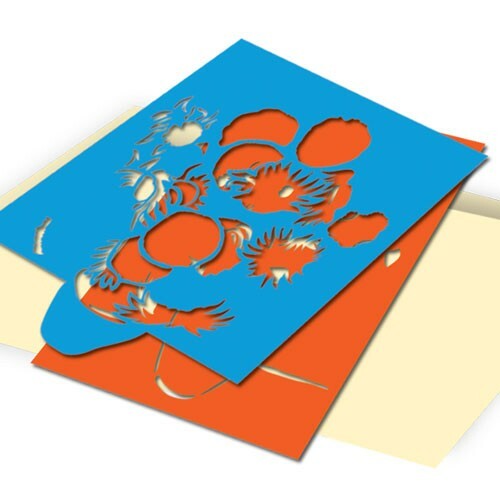 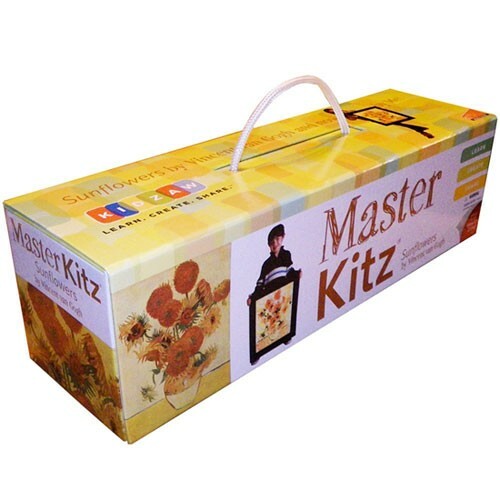 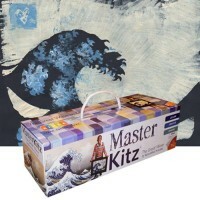 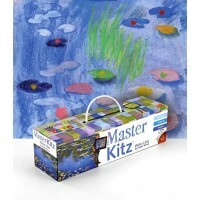 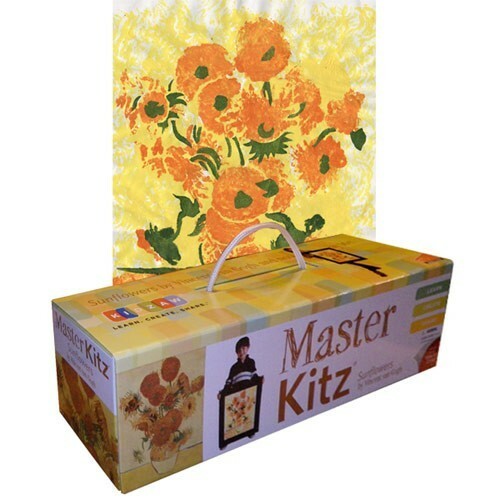 The Master Kitz Famous Painting Art Kit - Sunflowers by Van Gogh brings all the craft tools and art supplies your young artist needs to create their own Sunflowers art work. 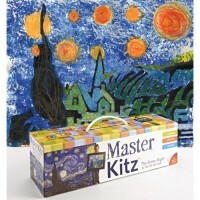 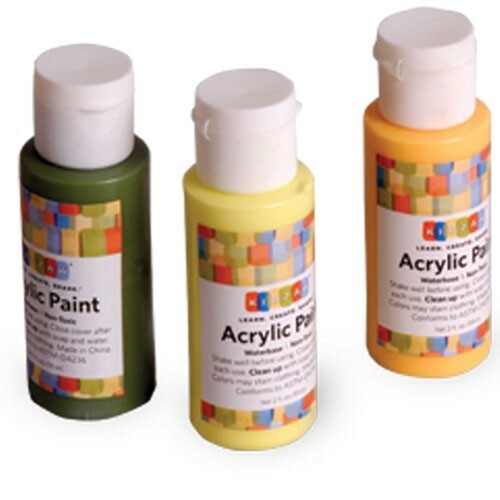 This kids fine art painting kit also features the informative materials to develop children's understanding of van Gogh, his life and the time he spent in Arles. 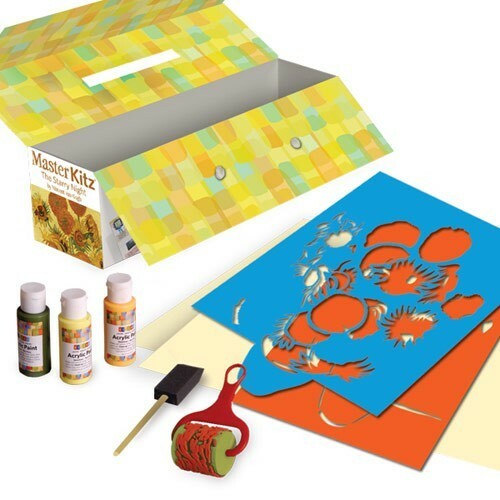 The Famous Painting Art Kit - Sunflowers by Van Gogh offered by Educational Toys Planet includes a sturdy art tool box with magnetic closures, 3 custom acrylic paints for children, van Gogh roller specially designed to replicate van Gogh's art stroke, 2 re-usable stencils, foam paint brush, 2 pieces deluxe art paper, kids-friendly van Gogh learning materials, easy detailed painting instructions. 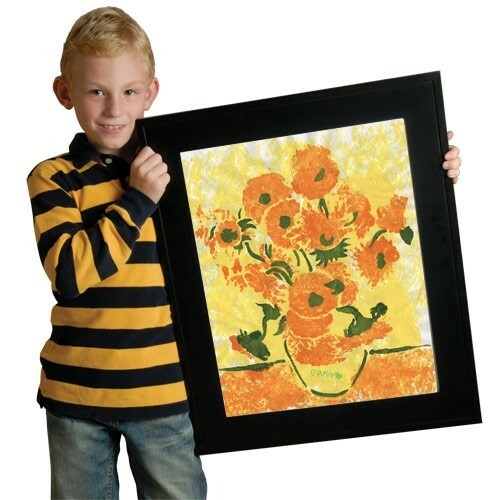 The finished Sunflower painting by your young van Gogh can fit in a standard 16 x 20 inches frame to display proudly for the whole family. 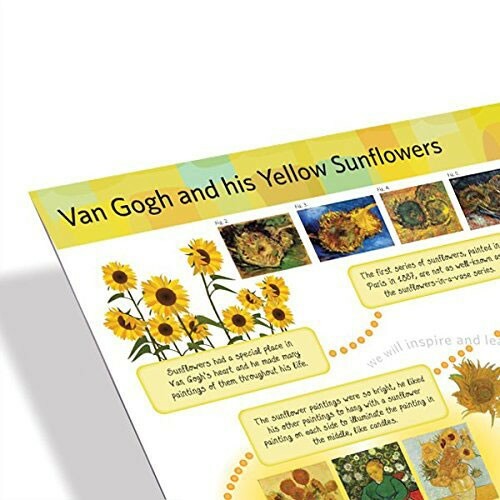 Dimensions of package 5" x 16.5" x 5"
Write your own review of Famous Painting Art Kit - Sunflowers by Van Gogh.